Colors: Black, Fawn, Tan Belly, Chocolate, Charcoal Gray, Silver Belly, Mist Gray, and Steel Gray. 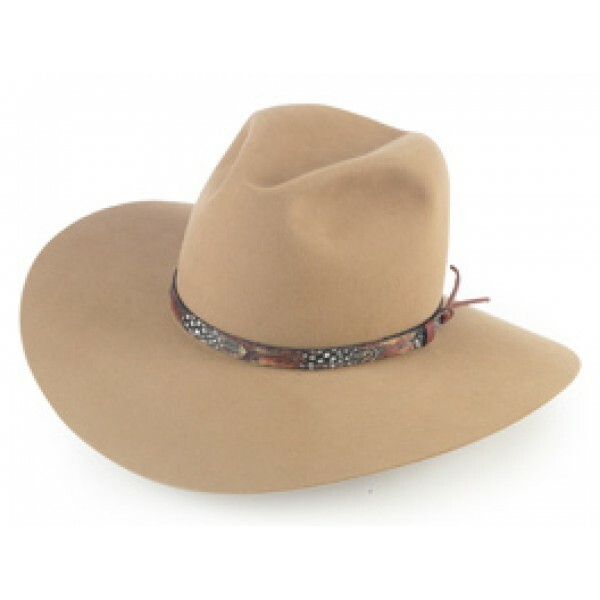 You won't only look stylish and ready to take on the world with the McKinney Hat but because of the wider brim you'll be shielded from the sun. Available in several different colors, this cowboy hat also comes with a spiffy press feather hat band.